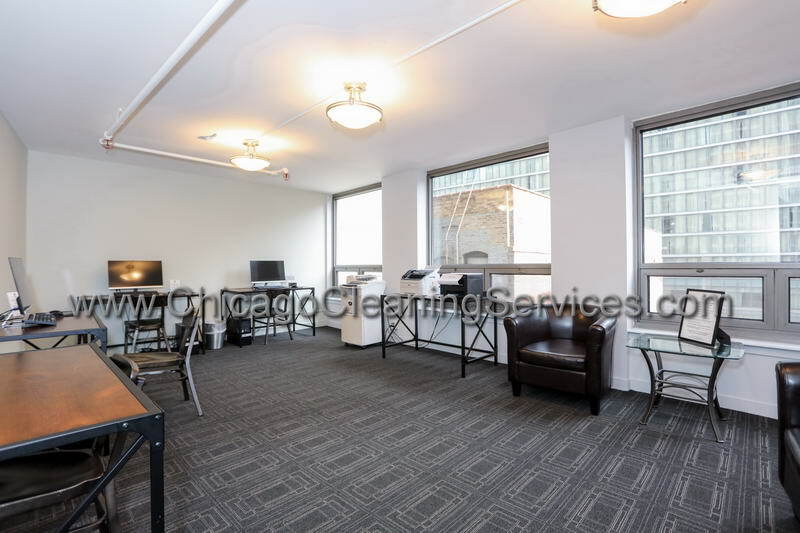 Chicago Cleaning Services clean up division is the best service in Chicago, Illinois area. We offer clients a regular schedule that guarantees your place is thoroughly cleaned every time and on time. 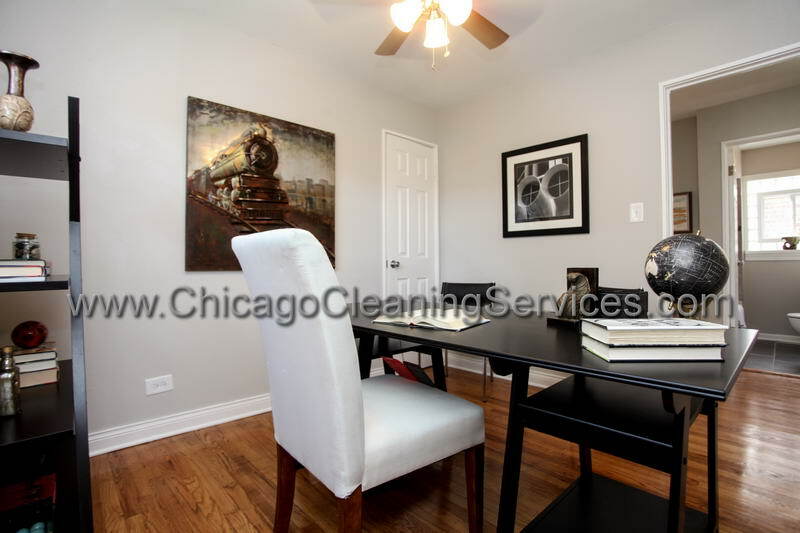 Our systematic approach is why customers trust Chicago Cleaning Services for reliable results. Our cleaning staff is professionally trained and highly experienced in cleaning spaces even if it’s a move in/move out cleaning, a special cleaning after a party or just regular cleaning to maintain your work area clean and tidy so you can have a pleasant day at work. Don’t hesitate to contact us, no mater what kind of needs you have, we will make sure to comply each and every one of them in time. After meeting with you to identify all of your needs, we put together a checklist and organize a program that can address your daily or specialty goals. 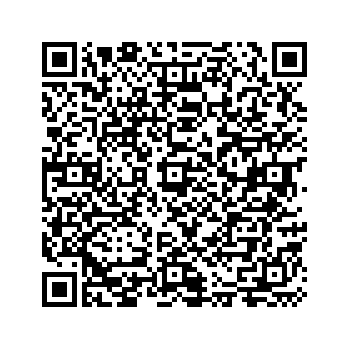 We are in charge of offering the best prices by using the best cleaning equipment. Our cleaning contracts are legally binding. We know that the clean up team you hire must be reliable, detail-oriented, and trustworthy. That’s why our cleaning services company carefully selects and trains the personnel that will clean your office either while you work or while you are away. 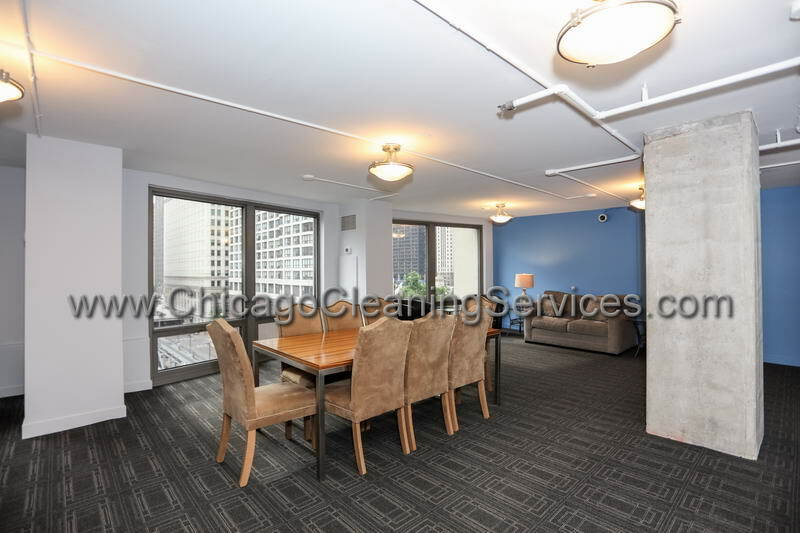 Chicago Cleaning Services is the Cleaning Company you can trust. We conduct thorough employment verification, reference and background checks of all personnel before they are placed in a work setting. Our team is educated on the specific needs of both your property and personnel. When they arrive on site, our team is ready to meet your expectations, taking pride in a job well done. The office area is treated with special attention and we make sure that the paperwork on your desk will stay in place. Our team will make sure to dust all pieces of furniture and equipment: desks, tables, chairs, bookcases, file cabinets, art work on walls, lamp shades. We use special products to dust and clean computer screens, keyboards, printers and all other electric equipment you have in your office. We also vacuum all the carpeted areas and swipe and mop all the wood floor areas throughout the entire office. This is on of the areas that gets dirty really quick and needs constant cleaning and sanitation. We clean and disinfect all counter space and kitchen table, wipe down all appliances. The microwave will be disinfected; cafe maker cleaned and the fridge will be spotless inside out. We dust all the areas, all artwork, wash all dishes and glassware, clean the kitchen sink , clean table and chairs and empty all wastebaskets. Office bathrooms always need special attention and they need to be sanitized and cleaned properly at least few times a week. Our team of professionals will make sure that your office bathrooms have all the areas disinfected and cleaned. We clean the sinks and vanity, toilets will be cleaned thoroughly cleaned and sanitized, mirrors polished. We also make sure to remove any existing cobwebs, empty all wastebaskets and clean all doors from stains, dust of fingerprints. We finish the bathroom cleaning by sweeping and moping the floor and replacing the toilet paper, paper towel and soap if those are provided and need to be changed. 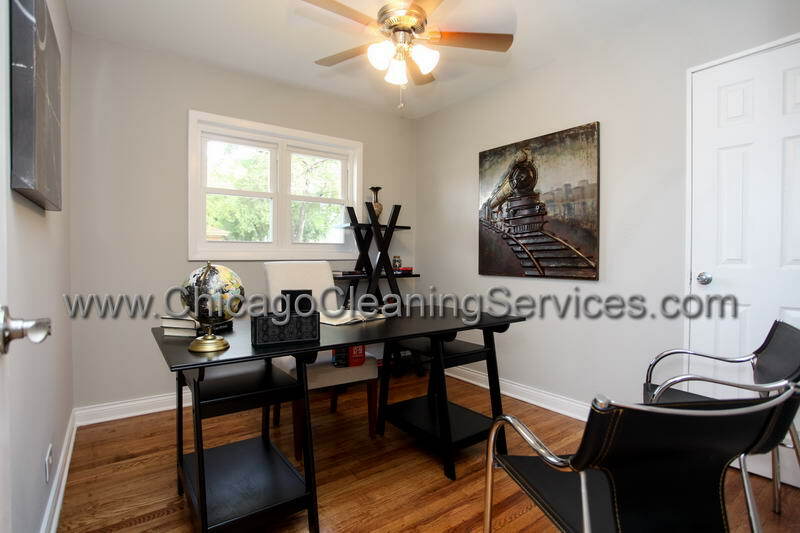 CHICAGO CLEANING SERVICES team are trained, bonded and insured and are fully supervised to offer you the best CHICAGO SERVICES available, but if for any reason you are not satisfied with the quality of our service performed at your home, call within 24 hours of your appointment and we will send a team back to your home and re-clean that particular area at no additional charge.We are satisfied only when you are satisfied with our services!